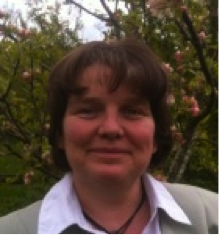 Marion Ellison is the permanent participant and senior researcher from Scotland for the INSPIRES research programme. Her main responsibility is to lead Work Package Seven integrating the work of the collaborating universities to provide an integrative report on contributing and constraining factors for resilience, innovation and policy learning in employment and labour markets. This includes an EU directed policy brief on instruments that may be used to advance the EU 2020 Strategy's goals and four action-orientated policy briefs for diverse target groups, including national and local governments, trade unions and NGO's across Europe. ''INSPIRES will deliver policy briefs on areas of central importance to the future of people, societies and economies in Europe by providing indispensable inputs for adapted employment and labour market policies in the framework of the EU 2020 strategy. Contributing to this major European project is of great personal significance and I very much look forward to working closely with all of the partners on this vital area''. Marion is Director of HOPES (How to Progress European Solidarity), an international research network of academic and NGO personnel with specialist interests in transnational social and public policy, governance and the organisation of social protection within and out-with Europe. Apart from promoting research co-ordination, this network has also led to the editorship and production of several workshops and publications. Marion was educated at the University of Durham, The Open University, Northumbria University and is a Fellow of the Higher Education Academy. She lectures in Sociology and Social and Public Policy and has been engaged in research and consultancy work at European governmental level.